Sparks Tire & Auto opened in 1984 as part of the Sparks Tune-Up franchise. 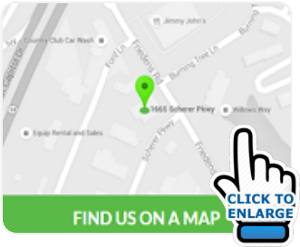 As the automotive industry shifted from specialized one-service facilities to full service repair centers, the franchise no longer existed and Sparks became the neighborhood full service facility. 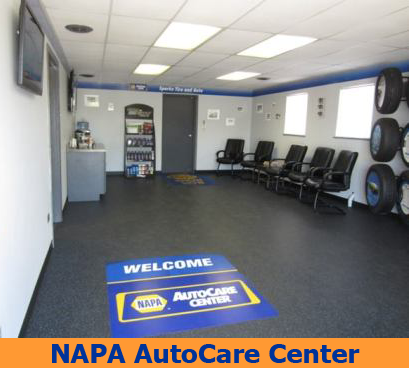 As services continued to expand, we became affiliated with NAPA Auto Parts and became a NAPA AutoCare Center. This gives our customers the strength of a nationwide company, while staying a small family owned business. In 2001, the original owner retired, and Ron became the owner of Sparks Tire & Auto. Business continued to grow, and in 2004, Sparks moved from its original location to a much larger 10,000 sq. foot facility. We are dedicated to keeping on top of the ever-changing and highly complex field of automotive service and repair. We are constantly investing in the most up-to-date equipment and computers for our technicians to use in repairing your vehicle. Our technicians attend various training sessions throughout the year. We only hire ASE-certified technicians, so you will never have to worry about who is working on your vehicle. Our technicians have made a commitment to you and the automotive industry by dedicating themselves to continuing education. They take every opportunity to increase knowledge of service, products, techniques, tools and technology. Please feel free to stop by and ask for a tour of our facility. You will be amazed at the amount of technology used today to repair your vehicle. We currently offer the NAPA AutoCare “Peace of Mind” Warranty, providing our customers with 24 months/24,000 miles of worry-free protection on qualifying parts and labor. Wherever you may travel, our warranty is honored at more than 13,000 NAPA AutoCare locations across the country. Visit our National Warranty page or call us to learn more about NAPA’s “Peace of Mind” Warranty.